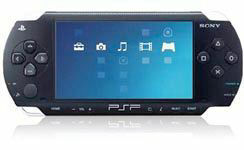 Coltrin generated favorable press coverage in every major business publication for the launch of the Sony Play Station Portable (PSP) by bringing together 20 of the most influential reporters on technology in the country. With journalists from the Wall Street Journal to Time Magazine to Wired Magazine, Coltrin organized and executed three separate events to introduce the new game systems. The successful execution of these campaigns and subsequent coverage drove revenue for Sony.